If Spock had eight arms he could have done several jobs on the Enterprise bridge at once instead of just being Science officer. This seems like the next logical step in Vulcan evolution anyway. First you master emotions and the mind, then you grow several more arms so that you can work more efficiently. This plush was made by Karen at SewMuch2Luv. 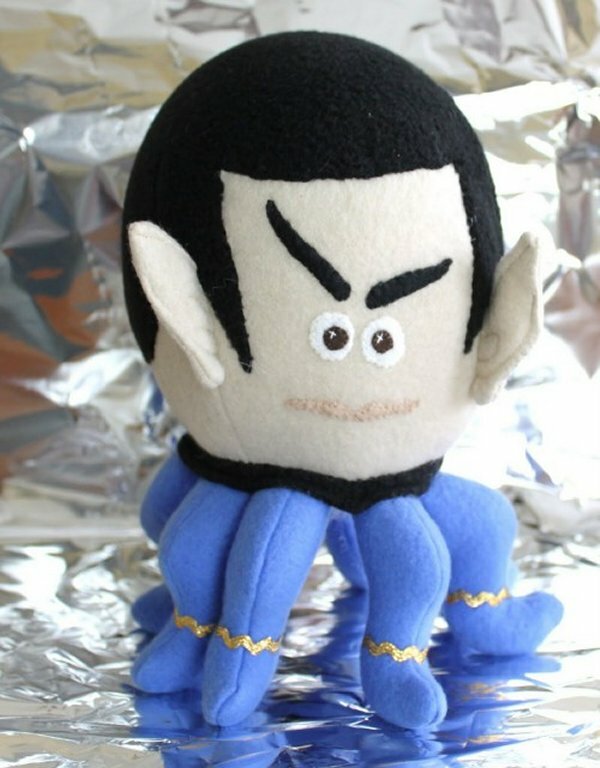 She combined a cephalopod with Spock for a friend of hers. The result is affectionately known as Spocktopus – which was a logical choice. The other choice would obviously have been a cthulhu Sulu, which would have been alright, but not as neat as this one.